Coastal city's Islamic Council sets up protest tent to rail against encroachment of 'settlers', Jewish residents, on an Arab neighborhood. © 2008 by David Willner for Foundation Stone. All Rights Reserved. The elected Islamic council in the city of Jaffa set up a protest tent on Tuesday in one of the city's Arab neighborhoods against what they called the presence of "settlers", Jews, in the neighborhood, and the intention to rezone a building for a school for the "settlers", as reported in the Hamas newspaper Palestine yesterday (Wednesday). The establishment of the protest tent was ordered by Attorney Mohammed Deri'i, head of the Islamic Council, who said that the tent will remain there as long as the "settlers" are in the neighborhood. "The tent is a protest platform for all sectors in [Jaffa], the Arab, Jewish, and Christian, and all are welcome to join," Deri'i said. 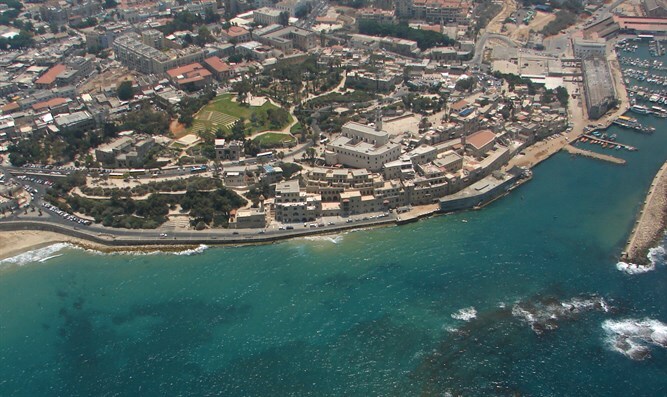 Local Islamic leader Sheikh Ahmad Abu Ajwa was quoted in the Hamas paper as saying that "the reality is there are Jews in [Jaffa]. What we object to is the existence of racism which manifests in the presence of these settlers, who want to expel us from our city. That's why we don't welcome them."